For four days, Las Vegas was home to some of the most innovative technology products ever seen. 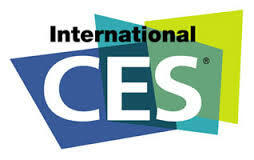 This year's International CES kicked off on January 6th, and had not only the most technologically advanced products featured on the show floor, but also gave attendees the opportunity to listen to presentations given by some of the brightest in the industry. One of the categories that we had our eye on was pressure sensing products. Not only did they come in wearable form, but also appeared in security protection applications. Below, check out some of the pressure sensor exhibitors that amazed us from the 2015 International CES. At CES, 3L Labs presented their Footlogger shoe, which has a pressure sensing insole that can capture data from the consumer's footprint for the entire day. Not only does it feel like your average shoe insole, but it also has the capability to wirelessly charge itself. It doesn't stop there. The Footlogger can also analyze the biometric footprint data, which can lead to specific consumer insights about diseases and everyday health. Based out of Taiwan, E-Lead Electric develops devices that make automakers and car owner's lives easier. More specifically, they featured their tire pressure monitoring system to CES attendees. Sensors, that are installed on each tire, alert drivers about low pressure or potential flat tires. E-Lead Electric also showed off their head-up display and head unit infotainment/navigation at CES. Responsive Surface Technology wants to help people everywhere experience higher quality sleep night after night. Their pressure sensing fabric, BodiTak, helps the consumer's mattress react to their style of sleep by reliving pressure in specific areas. The sensing fabric also produces highly detailed analytics for the sleeper. The data can even depict the consumer's sleeping positions derived from the pressure placed on the mattress fabric. Lastly, sleep scores based on 'rest performance' can be tracked over time to see improvements in sleep schedules. Xensr mentions that collectively, "We're athletes. We're also engineers, coders and developers." (http://xensr.com/company/) Their statement is represented in their TruMotion technology, where acceleration, orientation, air pressure and 3D location data can be compiled from their sensor. Their device's data can answer just about any sports motion measurement question that comes to mind. Interested in going to next year's CES in Vegas? 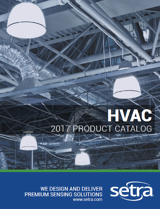 CLICK HERE to get all the information you need to discover some of the most innovative technology products in the world.